The Rrp Bearing Press For Linkage Bearings is no longer available, although you may find similar or newer versions below. This simple and effective bearing press will extract and insert linkage bearings with ease. Thanks to a CNC construction this tool is ultra durable. 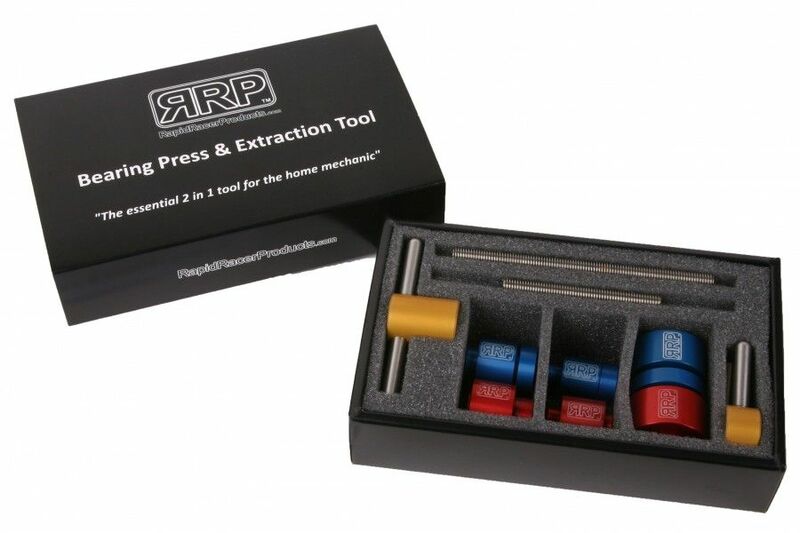 The bearing press and adaptors are supplied separately so you can customize the bearing press kit to suit your requirements for greater value for money. Adaptor kits are supplied with full extraction and insertion fittings. 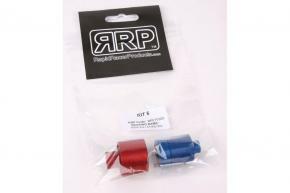 Place the RED adaptors from your RRP BEARING KIT as shown below take time to ensure that all the parts fit flush and are aligned to prevent any damage to parts or frame. In particular check that the female adaptor cup is flush on the frame to prevent frame damage. Place the BLUE adaptors from your RRP BEARING KIT as shown below take time to ensure that all the parts fit flush and are aligned to prevent any damage to parts or frame. Wind on the main handle until all the parts come together the male adaptor should be pressing on the outer race of the bearing you are inserting. ALL BEARING KIT ADAPTORS ARE SOLD SEPARATELY. The BPET is only suitable for frames with flat surfaces to press against.